“There are now, by our rough estimate, 184,597,433,860 references to ‘authenticity’ used to brand products and services.”, according to Eric Pinckert at BrandCulture. This estimate by BrandCulture teaches us that authenticity is in, but the question is: will this be the case much longer? In general, authenticity is defined as: “Having the quality of a proven power or realness, which has not been affected by the original, or honesty about one’s origin“. If the average person has to define authenticity, things become a bit more difficult. The answers are rather varied, such as real, original, open, transparent, legacy… which clearly shows that authenticity is something intuitive and has a different meaning for everyone. 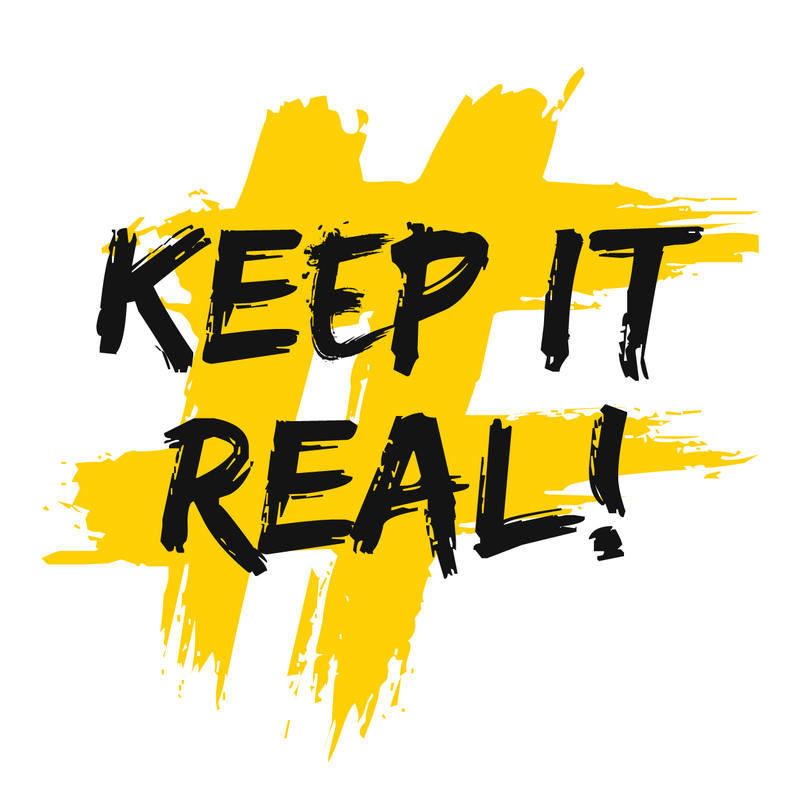 It will always be important for a brand to be real but why have we been drawn so much in the past 5 years to all those marketing campaigns with products which are authentic and traditional? Why do we feel that need to market products and services as authentic? Globalization: the world is a village and the same clothing (H&M), food (McDonald’s) and drinks (Coca-Cola) are available everywhere. This makes us appreciate the home-made, traditional things more, such as grandma’s stew. Distance to nature: because of the many new technologies we are now further away than ever from the natural existence. There are genetically manipulated potatoes, but do they really look that normal? This makes us go back to the natural basic product. Deterritorialization: cultures are mingling in our current society and we are somewhat afraid of that. We fear what we don’t know, so we return to the traditional, the local. Economic crisis: the sudden stop of our thought that anything was possible now makes us grab back to familiar, small-scale and simple things. Marketing reacted enthusiastically to these four trends. The movement started with people (also called hippies) who started looking for artisanal products and tradition, the story behind a product. They wanted to know who made it and what it contained. The search for authentic and traditional products was discovered by marketing. And in 2010 more and more brands told the story about how authentic they really were/are. Sometimes they would give us a peak behind the scenes, focusing on the actions and the dedication behind their authentic product. Brands would mainly use their history to focus on their authenticity; heritage, traditional… became frequently used words. But overreacting is never a good thing and that is exactly what happened/ is happening with the usage of the words authentic, authenticity, artisanal and hand-made. As Eric Pinckert mentions in his quote, you cannot go to a supermarket without noticing hundreds or even thousands of products which are claiming to be authentic. So they devalue the words authentic and artisanal, which now no longer have a meaning and feel fake. The abuse and over-usage of these words in marketing campaigns has turned them into hollow words on packaging which mean nothing to the consumers. Generation Y no longer believes what is told in a TV ad or a print ad about a brand, its heritage and its authenticity. This tactic is used by all the brands, so Generation Y rightfully so thinks that every story is fake. This does also imply that they no longer believe the brands which do bring a proper authentic story. So we are tired of the marketing campaigns which promote authenticity and we no longer believe them as everything is authentic these days, so to speak. That is why we have reached a turning point, because how authentic are you if you have to shout it from the rooftops? Real anti-authenticity marketing is on the rise. Anti-authenticity marketing is not about going in against being authentic or real. It is rather a type of appeal to mass media to no longer exploit authenticity and all the terms related to it in their campaigns, as those words no longer have a meaning and therefore do not offer any value to the consumers. These four types are perceivable; a brand can prove them by referring to its history. It goes back to the brand’s basis. These brands are founders and they are unique in their kind; there are variants but the original ones are the first ones with the recipe, such as Heinz ketchup, Coca-Cola…. This is where we encounter future-focused brands with a story, a mission. These brands are usually innovators in what they do, they work with a lot of passion which they carry on to the consumer and they aim at working openly and honestly. This category includes brands such as Apple, Google…. Next to anti-authenticity marketing, the last few months have also seen a similar change (#HonestCaptions) on social media which I think will gain even more in importance for Generation Z in 2016. Some popular Instagram users suddenly started posting the truth about their pictures. They want to show that their Instagram is not real life and explain how the pictures really came about. Will the real social media stars be more popular than the perfect ones? I think so, because social media is part of Gen Z’s life and they consider the social media stars as their friends. That is why they want real pictures rather than a manufactured truth. Gen Z wants Instagram users to treat them as (virtual) friends and to only show and recommend things that they support; after all you wouldn’t recommend anything bad to your real friends, would you? Furthermore, they have no real issue with things being promoted and with Instagram users being used as influencers, as long as they are honest about it. Many popular social media stars look perfect every hour of the day, but in reality that is never the case. Allow Gen Z to also see the less positive sides, so that they know that real life is not perfect. Social media stars will only have a real influence in 2016 if they let Gen Z feel that they are equal to each other. So just like in anti-authenticity marketing, these stars should not abuse their influence nor should they present their pictures and stories as real if they aren’t. Just like Gen Y, Gen Z wants the words to be real and authentic and used in the right context. In anti-authenticity marketing, the consumer is generally tired of hearing so many brands declare that they are the most original, the best, the oldest…. I think Generation Y will accept this from brands which can actually prove it and which they have been using their entire lives. But those major players are smart enough to use their authenticity subtly. A few examples: Heinz’ date of foundation is printed on the ketchup bottle, Coca-Cola has been using the same tune in their Christmas spot for years and their name is forever linked to the color red. These are unconscious elements which give us a good and familiar feeling which does not make us doubt their genuinity and originality. But brands should step away from the idea that Gen Y can be convinced with authenticity. They no longer believe it, as they are smarter and highly informed. They also do not shy back from sharing their opinion with the world, which is facilitated by social media. They are more empowered than ever, which could negatively impact a company that lies about its authenticity and originality; when the truth surfaces – and it always does – this is punished mercilessly on social media with negative comments and reviews. Yet the stuation is not companies vs consumers; they are all working together, more than ever before. We want to see the human side of brands as we see them as people, so that is also how we will judge them. And being able to and willing to work together to come up with a better product, a better service and a better society, in other words to create value for consumers and companies. Social media stars should also show their real person, in order to keep their influence. If the real, human factor is gone, neither brand nor famous person will be relevant in 2016.